Fina is snatched away by her father from the middle of an initiation rituals that her grand mother has prepared for her in the forrest. Following that, she left her village to the city with her parents and little sister. Life in the city is not as promised, she loses her father and is forced to leave the country for the U.S.A. Life in America is not as expected either, however, there are opportunities so she grabs them. Nevertheless, she still does not feel she belongs, somehow in many ways her past continues to haunt her, she feels that there is a circle in her past life in Sierra Leone that is not yet closed. However, how does she return back home if her country is in the throes of a civil war and all her family members are dead or displaced. America? Will she submit to this urge to return to her home country despite the civil war? I discovered Pede Hollist through his short story "Foreign Aid" shortlisted for the 2013 Caine Prize for African Writing, since then I have always wanted to read his novel. 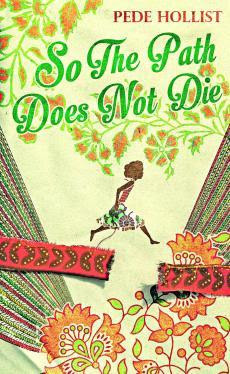 I must say that "So The Path Does Not Die" is absorbing, entertaining and full of drama. If you've read Americanah by Chimamanda Nogozi Adichie and love it you'll quite surely enjoy this novel. It also narrates a lot on the relationship among black people of different origins in the U.S.A. This is a novel I wholeheartedly recommend. It was pretty entertaining. I look forward to your e-mail!